Creme brulee sounds fancy doesn’t it? But let me you in on a little secret, it is so easy to make. Do not tell anyone, let them think that you had to slave to make this fancy dessert. 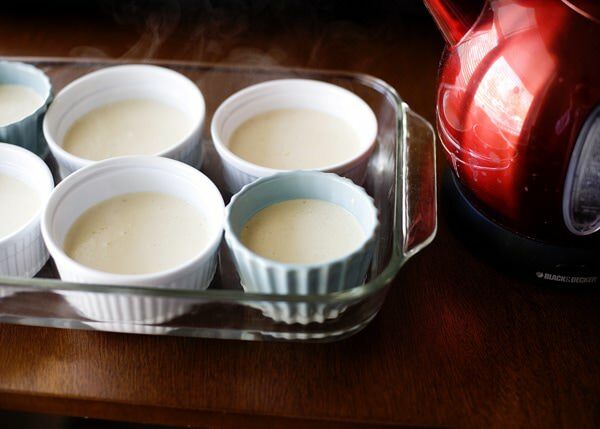 I have made creme brulee many times, but this version is one of my favorites. The mascarpone adds a little tang and the ginger adds just enough spice to keep things interesting. It reminds me of the holidays, and would be the perfect ending to a Christmas dinner or New Year’s Eve. The hardest part about making creme brulee is judging when it is done. It largely depends on what vessel you cook them in. If you choose something shallow, it will most likely take less time to cook. If you use a ramekin with high sides like I did, it will take longer. Check them often, if you over bake these beauties, you risk losing the soft and creamy texture that makes a creme brulee so decadent. 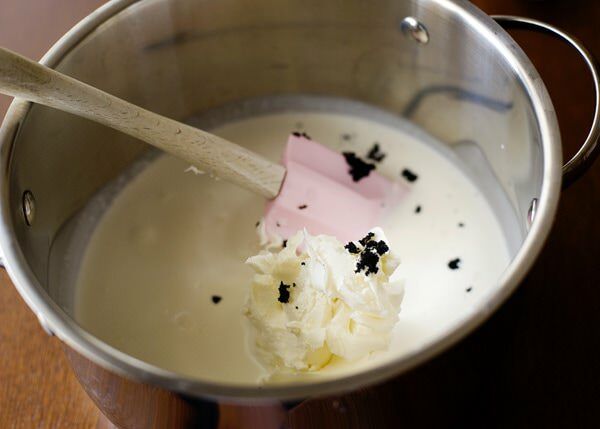 Heat the cream, mascarpone, and vanilla, over medium to medium-high heat and heat until almost boiling. 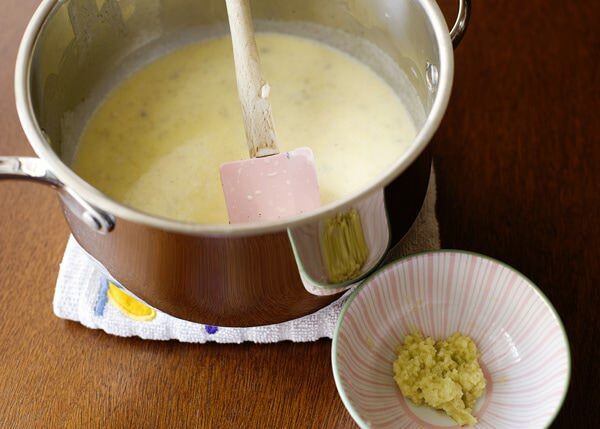 Take the cream off of the heat, and stir until smooth. Add the ginger. 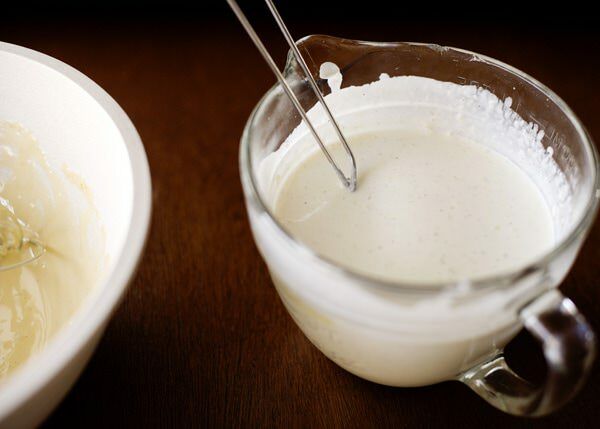 Pour the cream into a container and let steep in the fridge for a few hours or overnight. 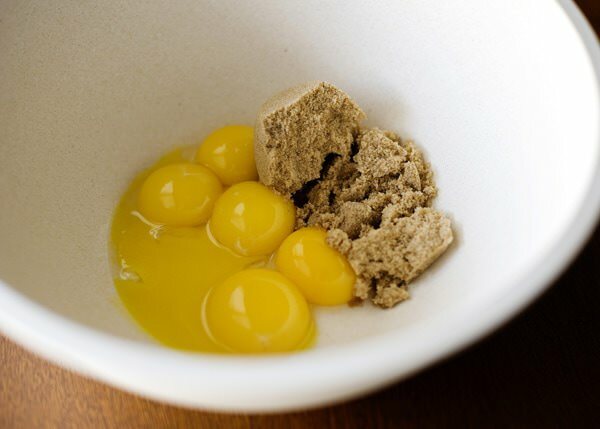 The next day, put the egg yolks and brown sugar into a large bowl. 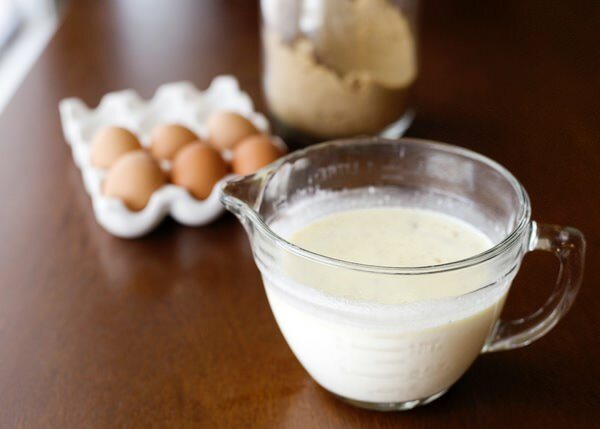 Whisk until the yolks turn pale yellow and when you take the whisk out, the yolks take a few seconds to incorporate into the rest of the mixture. 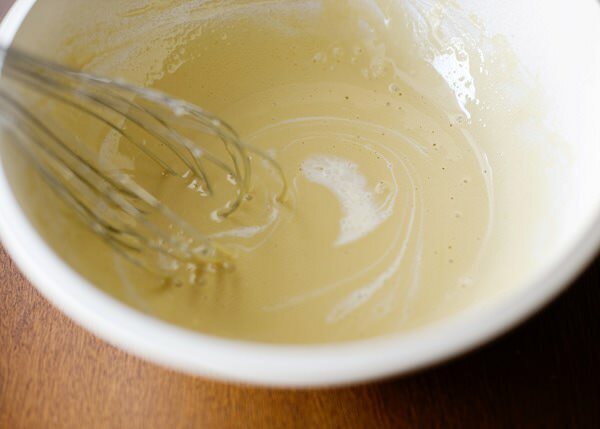 Take the cream mixture out of the fridge. If you would like a smooth creme brulee, you can strain the ginger out, but I like to keep it in. 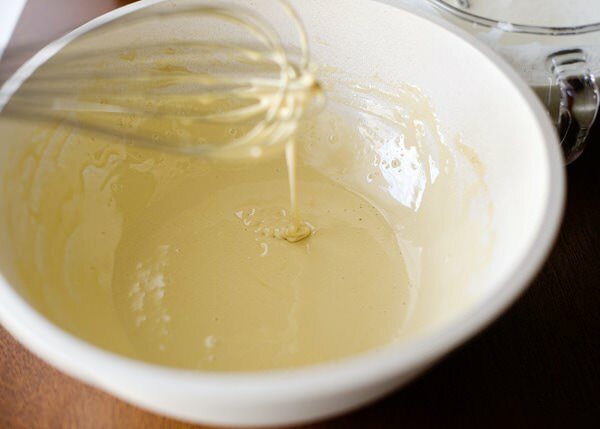 Slowly pour the cream mixture into the egg yolks, whisking the whole time. 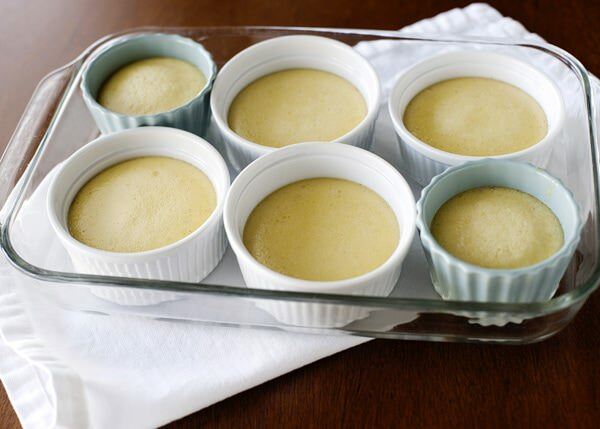 Put 4-6 ramekins in a roasting pan in a roasting pan or a 9×13. 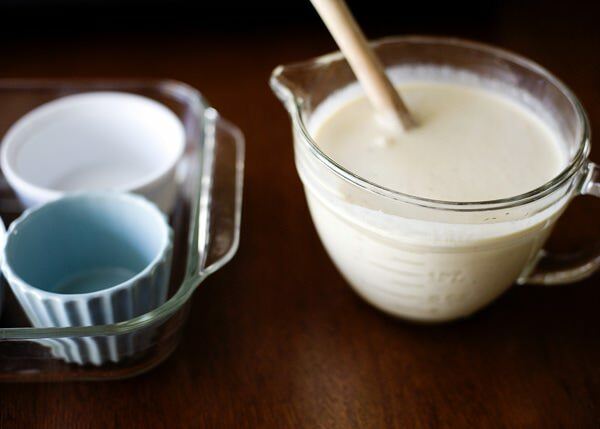 I use a large batter bowl or measuring cup to make it easier to pour. Pour boiling water halfway up the sides of the ramekins. Bake in a preheated 300 degree oven for 20 minutes. They should still be jiggly, but not wet, if they are still not set, bake for another 5 minutes. 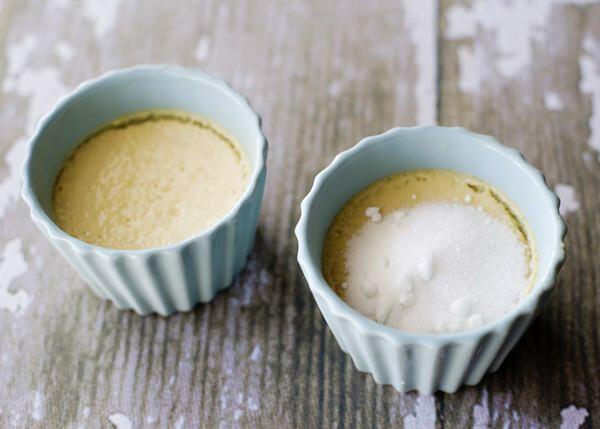 When you are ready to serve the creme brulees, sprinkle some sugar on the top. Make sure that it is a thin layer, and pour out the extra. Put the creme brulee under the broiler or use a kitchen torch to melt the sugar and make the crispy top that in my humble opinion, is the best part. This recipe is adapted from Simply Baking on Cooking Channel. I cannot take the credit, I saw it on the Cooking Channel. 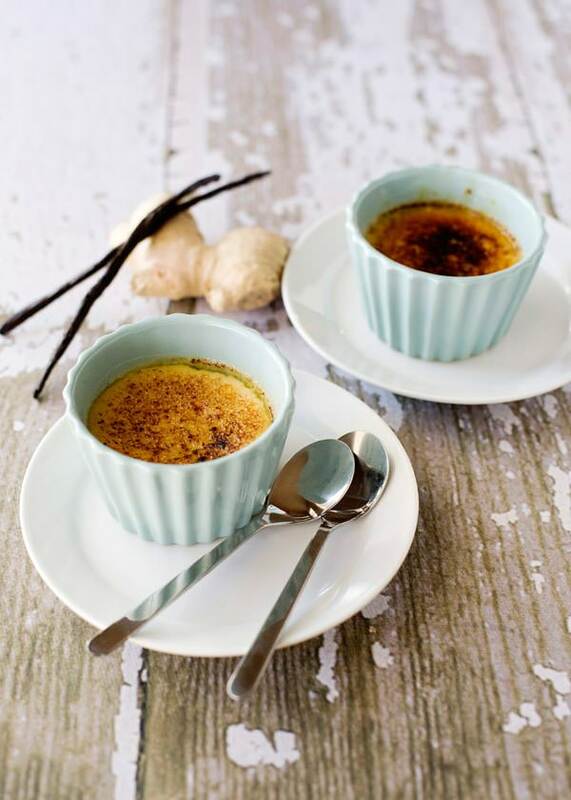 It’s gorgeous and any version of creme brulee is a great one in my book! i never knew how easy creme brulee was to prepare. this sounds amazing…anything with mascarpone is a-okay with me!! So easy! I just bought 4 tubs today. For one recipe! These are beautiful! I love the first spoonful… and the crack of the sugar breaking!! LOVE! thank you Becca, it is so easy to make, give it a go. I love the idea of marscarpone in creme brulee. I read somewhere if you pulse your sugar in the food processor (or use extra fine sugar), it brulees even better. Your picture shows using white sugar for the topping, but the instructions say brown sugar. Which do you prefer? I forgot when I got to the brulee-ing part that it called for brown sugar. It is all delicious, so I do not think that it really matters, but brown has more flavor. 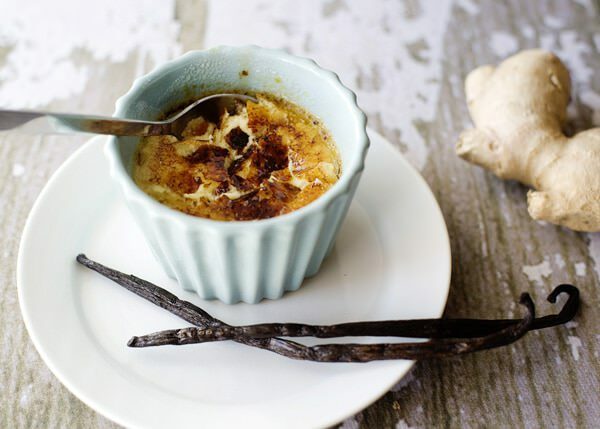 Yum….. Ginger creme brulee! Sounds great! Creamy and spicy… Delicious! 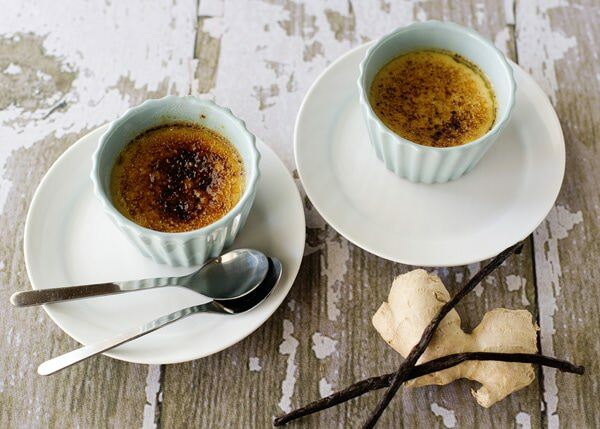 I am excited to try the tang of ginger in your creme brulee …I am sure the mascarpone added more appeal to its flavor too…I am gonna try this tomorrow. Thanks for the post! I have never made creme brulee before, but this dessert looks amazing. It is so easy, give it a try. I love cracking the top, it fulfills my inner desire to shatter things on a smaller, equally satisfying scale! …and you bruleed the tops beautifully, they look great! Me too, it is the best part! where did you get those adorable blue ramekins/cups?!?! I got them at an apple orchard gift shop. I wish that I bought more! 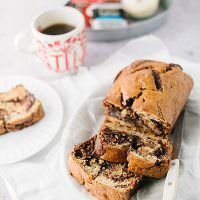 Oh my gosh, this recipe looks so, so good! 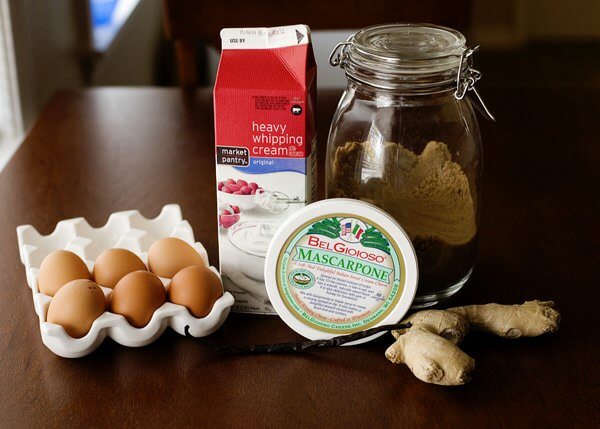 Mascarpone is one of my favorite ingredients out there! What a great alternative to the original crème brûlée. wow this sounds absolutely amazing!!! i need to try to make this! Looks amazing! Creme Brulee is my fave! OMG. Amazing. I can’t wait to try this! Just leave out the ginger and add vanilla bean. Now I have to try! PPS Forgive me for my english. is the temperature in Celsius or Fahrenheit ?